/Design Tools - Text /How do I center the text on my design? 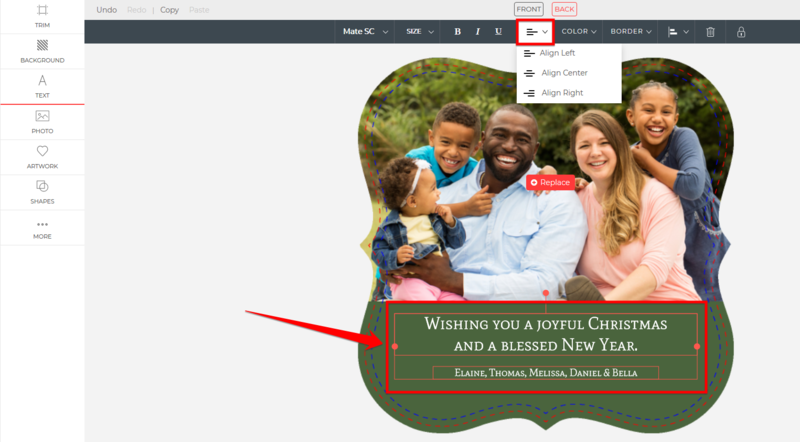 You can center any feature on the card that’s unlocked using the Alignment features in the horizontal toolbar at the top of the page. You can align single items. If you click on a single item, like a textbox, and press the Align Horizontally option from the dropdown, it will put that text box at a mathematical horizontal center of the card (see example below). If you were to click “Align Vertically,” it would place the textbox in the vertical center of the card. Remember fonts look different, so it may need to be fine-tuned from there. 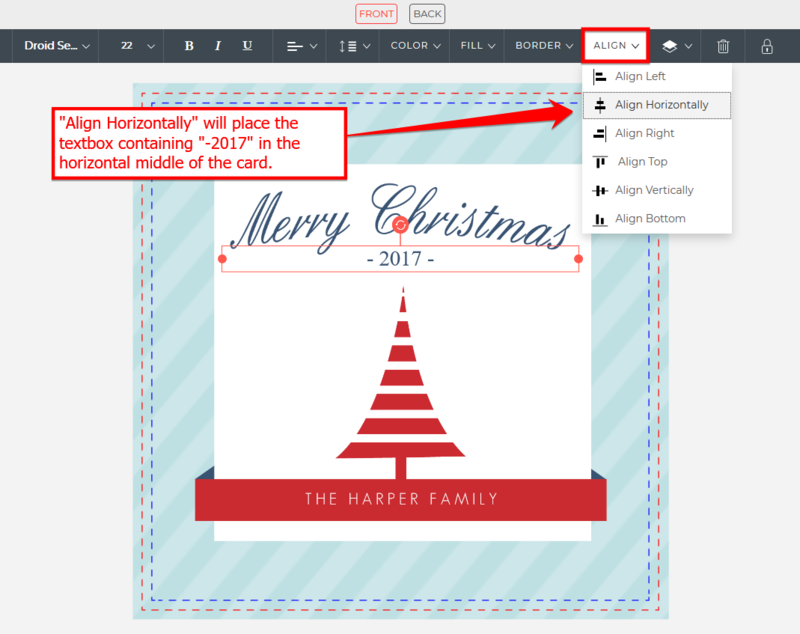 You can also align several pieces of text or features to the left, center, or right. Learn how to align text or features below. Hold shift on your keyboard. Then select all text boxes you wish to modify.